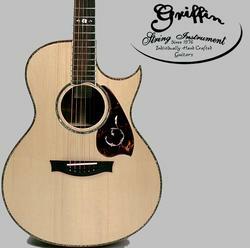 At GRIFFIN STRING INSTRUMENT luthier Kim T Griffin custom hand crafts steel string Acoustic Guitars, Mandolins, Classical Guitars, Banjos, Hammered Dulcimers, and other string instruments. 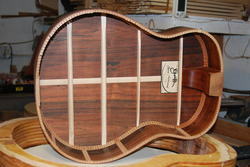 Design the instrument along with the luthier as a one of a kind work of art, a valuable heirloom for generations. Also offers Repair and Restoration of string instruments. The Official Vintage Guitar Price Guide. "I am personally committed to putting the guitar of a lifetime into your hands."